It’s no secret that our world is ever changing. Back in 1998 when it was just coming on the scene, most people were asking “What’s a Google?” Today, 14 years later, Google is the number one search engine on the web. Dinosaur-like cellular phones and pagers have transformed into sleek, lightweight iPhones and PDAs. Hand-written letters have been swapped for emails and landlines are being traded in for Skype. Things like social media and augmented reality have changed the way we connect with others, even inside the workplace. Our society will always be evolving and, in order to be successful, we have to adapt and keep up with the evolution. Just like we cannot keep our old habits with new technology, we cannot stay the same in our professional careers. Industries change and it’s the worker’s job to follow that change. And what better way to keep up with the trends than to invest in professional development? 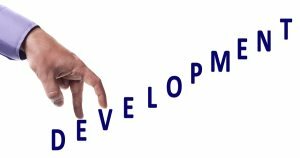 Professional development programs are an extremely important component to any company. Most employers that offer such programs are more attractive and appealing to job seekers because it shows them the companies support the advancement of their employees. Similarly, participating in professional develop for an employee shows companies the individual is dedicated to his or her career growth. Specialized workshops, seminars, classes, and conferences for your profession are all great ways to take your career to the next level. How so? Opportunities for developing new skills. Professional development courses and trainings are all about education. You will get the chance to learn new information, tactics and methods specific to your position or field, thus developing a new skill set. These courses can also help sharpen the skills you already possess. Staying up-to-date with your industry. You should desire to be the best at what you do and a part of that comes from being in the know within your industry. Understanding the ins and outs of your field and keeping current on what’s new, what’s old and what is to come can give you the upper hand when it comes to succeeding in your field. How can your company properly supply the needs of customers if it doesn’t know the current demand? Regular professional development can ensure you stay up-to-date with what’s happening in your industry. Building your network. We all know the power of networking; professional development simply opens another door for it. As you travel to conferences and attend trainings you will meet various people within your industry who may be essential to your future success. Strengthen your personal brand. Have you ever heard the saying you are your own brand? Today more than ever this holds true. Your actions, your credential and your expertise are what speak for you as a professional. Why not allow professional development programs to help with that? By participating in professional development, you’re only strengthening your personal brand as employers see the effort you put in to advance yourself and skills in the field. This especially holds true for professional development done outside of work. Remain competitive in the industry. Business is a competition. You want to be the best: offer the best service, provide the best products and find the best solutions. The same is true as an employee. Hundreds of people apply for one position. And even after you land the job, many more wait, ready and willing to take your place if you fail. To move up the ladder, you will have to remain competitive and professional development can help you do just that. That extra training session or course you took provided you with an extra skill or some knowledge another worker may not have. Benefit yourself and the company. Professional development is a two-way street. You’re growing as an employee and, in turn, helping the company to grow by the new skills and expertise you bring to the table. Now who doesn’t love a win-win situation?